A cancer charity supporting Norfolk women has been voted by Norwich Inns Members as their cause for the year. Keeping Abreast offer ‘patient led’ support for women who are facing or who have faced mastectomy after the diagnosis of breast cancer or the discovery of a breast cancer gene, and who may be considering or undergoing breast reconstruction as a result. 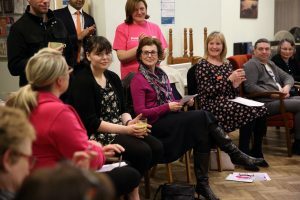 Through a network of volunteers Keeping Abreast provide women and their families the opportunity to meet and talk with others who have faced or are facing a similar path. Now Norwich Inns members, and their customers, are helping boost fundraising and awareness of the cancer and charity. 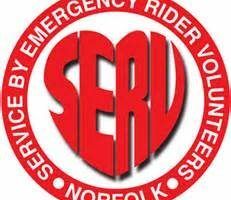 Norwich Inns secretary Craig McLaren said the group raised more than £28,000 for SERV Norfolk, the Blood-Bikes charity as its cause last year and was hoping for a similar success with Keeping Abreast. Fundraising Officer Lisa Becker said “Keeping Abreast are delighted to be the newest charity member for Norwich Inns. Approximately 55,000 women are diagnosed with breast cancer every year and just under half of those ladies face mastectomy. This partnership with Norwich Inns is a fantastic opportunity to raise funds to support women who are going through a very emotional time, a time when they feel a loss of femininity, confidence and self-esteem. We help to provide them with information and advice to be able to make complex decisions and support them through the long process of reconstruction. The Norwich Inns network will also help us raise awareness of our charity to enable us to help more women, and to prompt women (and men!) to do those vital checks regularly. Thank you, we look forward to working with you throughout the year”.